If you ask me, those are some pretty decent increases in participation compared to the prior month. Now what if I told you it was done with a fun little incentive called SKELETONE! It is amazing to think what a bunch of adults will do when you put a fun and silly program on the wall to get them competing with each other to see who can complete building their skeleton first. 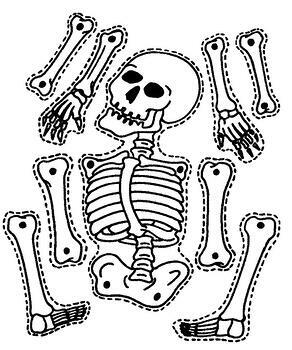 The program was simple, after signing up you receive your skull and each time you visit the fitness center and complete a SKELETONE workout you receive a bone to build your skeleton. The goal was to receive all nine parts to complete the challenge, which for us was more about members visiting the fitness center eight or more times in the month. I’m sure you’re wondering how this basic program was so successful. Our corporate fitness center manager knew he wanted to increase monthly visits and really get people to visit more than a handful of times for the month. Promoting the program was going to be key and he needed to do so outside of the fitness center to get members to enroll. The client site was having a wellness fair the month prior which created the perfect opportunity to use it as a spring board for promoting what was coming in the fitness center. When evaluating the program after the fact, he felt that promoting SKELETONE at the event really “salted the jar” and got people interested. The event alone resulted in 52 participants signing up for the program in advance. Programming is essential for the big picture in corporate fitness; consider what else you can achieve when you have the attention of members. Group fitness is a popular at this particular site and with some unfamiliar faces pre-registered for the program it was a great opportunity to promote classes and increase participation for the month. By adding a twist to the program where participants receive an extra bone for their skeleton when they attended a group fitness class, participation in the group exercise program jumped 51% over the previous month! Our corporate fitness staff utilizes fun programs such as this one to keep our members engaged. Adding fun to the workout makes participants want to complete their workout, step away from their desk, and enjoy fitting exercise into their day. Interested in other ways our staff engage clients? Check out our Best Practices and see why NIFS Corporate Fitness Management staff is top notch!